Safety shoes are effective in keeping the feet of industrial workers safe from sharp and heavy objects while working in factories. To meet the ever-changing needs of industrial workers, Moglix presents a new range of safety shoes and boots online that are well suited for use in industrial locations. The shoes that we are offering as a part of this range are made from grain leather which makes them suitable for long-term use in inhospitable working conditions. Moreover, they are equipped with PU / PVC outsoles, which provide them with the ability to resist punctures. Our wide range of safety boot is the most suitable protective gear for industries like iron, mining, steel, and construction. Buy Best Price Safety Shoes and Boots Online at Moglix! Keeping pace with the ever-changing needs of industry-based users, we have come up with different types of safety work boots online, such as steel toe, rubber toe, composite toe, fiber toe, plain toe, mild steel toe safety shoes and more. The Safety Footwear available at Moglix complies with ISI specifications and are chemical, heat & oil resistant. Therefore, they can be used in a wide range of industrial settings ranging from construction sites to oil rigs, factories, and excavation sites. At Moglix, we pay a close attention to the changing needs of our customers. To ensure they are entrusted with maximum level of protection, we have come up with the best quality safety shoes sourced from the most sought-after brands like Allen Cooper, Bata Industrials, Hillson, Safari Pro, Concorde, Tiger, Karam, Vmax and many more. Stocking quality assortment at reasonable pricing has been our motto. Therefore, keeping this in mind, we have kept the price of our offerings as competitive as possible, entrusting superior value for money to our esteemed customers. Moreover, not just safety shoes, we deal in a plethora of industry essentials, ranging from cutting & machining tools, measurement & testing tools, hand tools, power tools, led & lighting, electrical equipment etc. The Safety shoes & boots for men sourced by us undergo a number of quality checks before being sent for delivery. Allen Cooper - The Allen Cooper safety shoes available at Moglix are oil and heat resistant and are antistatic. They have a foam padded collar which offers a high level of comfort to users. These shoes are slip resistant and therefore are suitable for use outdoors in damp, marshy areas. Bata Industrial - Bata industrial safety shoes are highest rated by industrial workers for their durability to adapt to harsh working conditions. The footwear which we are offering as part of this category is compliant with the latest industrial specifications. These shoes are equipped with gambrel lining which keeps perspiration at bay for long hours. These shoes are suitable for use in construction sites, warehouses, oil rigging sites, and oil and petroleum refineries. Tiger safety shoes - Moglix, India’s leading online marketplace presents an attractive range of safety shoes from Tiger. The safety footwear that we are offering from Tiger brand is equipped with a sweat-absorbent lining which keeps perspiration at bay over a long time period. They are shock resistant and are therefore suitable for use in industries such as iron, steel, oil & gas, petrochemical etc. To know about the prices of safety shoes from Tiger quoted by us, visit Moglix.com. Liberty Warriors - Liberty safety shoes are one of the most popular range of footwear among industrial workers from different sectors. The shoes that we have on offer as a part of this range are equipped with PU double density soles. They can be worn under any type of weather condition are shock resistant and equipped with the steel cap. They comply with all existing ISI specifications and are ideal for use in industries such as petrochemical, metallurgy, iron, steel, oil & gas, logistics, construction etc. Karam safety shoes are equipped with a soft breathable inner lining, therefore, they can check sweat for long hours and help the user stay active while working within the factory settings or outdoors. They are equipped with a double density PU out-sole which ensures a comfort and high abrasion resistance. Karam safety shoes are oil & acid resistant, antistatic, anti-slip & heat resistant and have the ability to absorb shocks. Therefore, they are widely used in settings which involve exposure to applications that involve the use of a large amount of power such as hydel and thermal power plants. Vmax - Vmax is one of the fastest growing brands in safety footwear industry these days. Vmax safety shoes are equipped with steel toe with air mix sole, upper part with Synthetic Leather and Cambrelle Lining. The Vmax boots come with waterproof features and are idle for chemical, oil, liquid & petroleum industries. Low Ankle Safety Shoes which we have on offer are chemical, heat, and impact resistant. They have a white lining and are therefore suitable for usage in challenging industrial settings. They are made from highly breathable leather lining which offers a superb cooling effect even in hot, humid conditions. The low ankle protective shoes are light-weight and are soft padded collar and tongue. The antistatic and antibacterial lining offers a high level of protection to the users. The presence of a comfortable insole and antistatic with moisture control system makes these shoes comfortable for outdoor use. 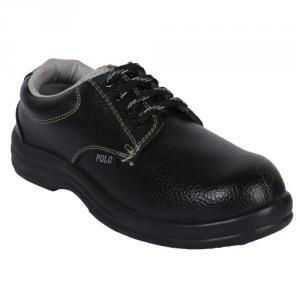 Equipped with a PU double density outsole, these low ankle black safety shoes offer extra comfort to the wearers. Our collection of high ankle safety shoes is equipped with an upper portion which is made from high-quality leather. These shoes are highly flexible and are equipped with slip-resistant soles. Therefore, they can help users to stay safe from ripping and falling in slippery areas. The shoes which form a part of our collection include pairs which come with a lace-up closure with false stitch detailing on the upper body. They have a cushioning insole support with a fine stitch detailing which makes them highly comfortable to wear. These high ankle black safety boots are chemical and oil resistant and therefore can be worn by professionals working in petrochemicals, pharmaceuticals, oil and gas industries. They are highly suitable for usage in hot, humid conditions also. Our range of steel toe safety shoes are slip resistant and can, therefore, be worn in slippery, muddy areas. The presence of a foam padded collar and a firm heel counter ensures an optimum level of comfort to the wearer, enabling him to stay on the move for long hours. The presence of PU double density soles in steel toe safety boots ensures a high level of resistance to abrasion. These shoes are oil and skid resistant and therefore can be used in industries such as logistics, petrochemicals, oil & gas, metallurgy, real estate etc. These shoes offer a high level of protection from heavy falling objects. Our range of steel toe black safety shoes is made from ISI graded steel cap and is penetration resistant. Therefore, they can be worn while working outdoors also. These type of black safety shoes are equipped with an outsole tread which is specifically designed to ensure maximum slip resistance. Equipped with PVC soles, these steel toe safety boots are water and oil resistant. Some of the shoes which form a part of this range are equipped with a breathable spacer with the heel grip. These safety boots have been manufactured in compliance with the existing CE specifications. Composite Toe Safety Shoes that we have on offer have soft upper leather. These shoes are slip, oil, and abrasion-resistant and therefore can be used both indoors as well as outdoors. They offer a high level of protection from electrical hazards also. These shoes are lightweight and have moisture-channeling spacer mesh comfort lining with an antimicrobial feature which keeps the foot dry. These shoes have been manufactured using anti-fatigue midsole and help the wearer to stay active and mobile for long hours. These protective footwears have a padded top collar which offers wearers with an optimal level of comfort. Single Density PU Sole Safety Boots which form a part of our collection are anti-slip and offer a high level of protection from electricity, oil and slipping. They are suitable and highly valued by professionals engaged in the electronics and automotive industries. Our Double Density PU Sole Safety Footwear are electricity resistant. They are anti-slip and oil resistant also. A wide footbed and anti-slip tire tread sole design minimize the risk of ankle roll and increases slip resistance. These types of shoes are suitable for usage in industries such as construction, automotive and logistics. Safety shoes with PVC sole which form a part of our collection are skid free and oil, heat and chemical resistant. They are CE approved and have a skid fit lining. The upper part of these shoes is made from the best quality of synthetic leather. These shoes protect the feet of the wearer from all types of impact. They are ideal for usage in construction sites, petrochemical plants and oil & gas refineries. The smooth texture design of these shoes offer wearers with a high level of comfort and are skin-friendly. Their high-quality superior finish makes it highly durable in the long run. The safety shoes with steel toe prices have been devised keeping in mind the needs of our buyers, the majority of whom are working professionals. This ensures that our buyers do not feel a pinch in their pocket while buying Safety footwear online. To meet the rising demands of our customer base, we have collaborated with leading safety shoe suppliers spread across India. This enables us to meet up with the demands of our buyers who want to settle for nothing but the best. To stand out from other e-retailers, suppliers offering these protective shoes, we keep a track of the concerns of buyers. The seamless navigation on our site enables buyers to compare the features and prices of different brands before taking the final decision. We follow the changing needs of customers and select safety shoes brands that are well-known for the quality of products they produce.  We strongly adhere to our corporate philosophy that experiencelies is the cornerstone of online buying. Therefore, we give equal emphasis to all aspects of our business process, starting from sourcing to cataloging and delivery. Q: What is the need for steel toe? A: The metallic toe cap protects your foot from accidental heavy falling or rolling objects. Steel toe boots are great for industrial and construction workers. Q: Can the steel toe hurt me? A: You need to take care of the shoe length, not width, for a comfortable fit. Your shoe should have a breathing space for back and forth movement of the toe. Q: How to make steel toe boots more comfortable? Q: What is a composite toe boot? Composite toe safety shoe has a non-metallic toe cap that is lighter in weight as compared to a steel toe. Q: What type of work is a composite toe boot for? For long-distance walking and non-industrial work, a composite toe is better than a steel toe. It is light-weighted and easily passes through metal detectors.